Back in October, Nintendo teased out its latest console, the Nintendo Switch, with a splashy teaser video that left us very, very excited. The neat part about the Switch is that it’s two consoles in one. When docked to the TV, it’s like a regular set-top box. 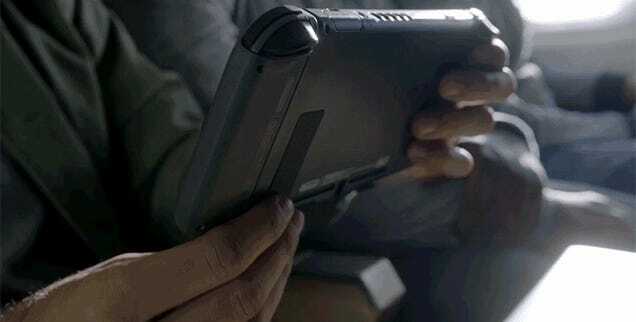 The “switch” happens when you pull it’s screen out from a dock, and attach two Joy Con controllers to the sides, turning it into a portable console for gaming on the go. It looks awesome—even though we still have plenty of question about how all of this stuff is supposed to work. And tonight, Nintendo will finally offer concrete details about Switch, which is expected to go for sale this March. We’re super excited about the Switch because it looks like a great concept and could finally offer us a gaming successor for both the Wii U and the 3DS. But we’re also scared, because let’s face it, Nintendo’s track record isn’t the best. The Wii U looked awesome too, but in the end, it was a total disappointment. Let’s revisit some of the rumors swirling around the Switch, and which ones make us nervous and which ones have us ready to hit that pre-order button. One of the big things we’re expecting Nintendo to announce is a price for the console. The Wii U launched at $300 (though that was for the barebones version, the Deluxe set cost $350), so if Nintendo comes in any higher than that, it would be a problem. Early pricing leaks indicated a $250 base price and a $300 price for a bundle which may include a pack-in game and more storage space. When you consider that you can get an Xbox One S or a PS4 Slim for $300, Nintendo has the chance to undercut the competition a little bit. And honestly, even if the price is $300 for a deluxe variant, that could be just fine for a console that can also be used on the go. Look, Nintendo doesn’t make super-powered machines. It is probably never going to put out a console that can rival the graphical prowess of what you can expect from Sony or Microsoft. Still, it’s a tad disappointing to see reports that the console will be less powerful than the three-year old PlayStation 4. 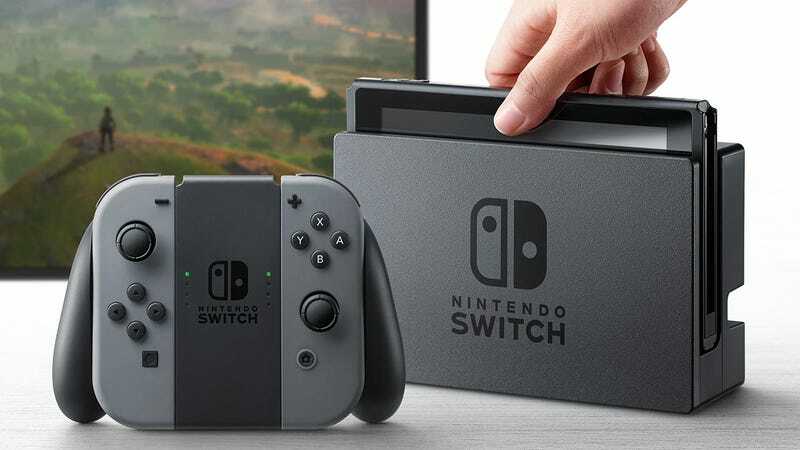 We know the Nintendo Switch is powered by a custom Nvidia Tegra chipset. All reports indicate that it’s supposed to be very similar to the Tegra X1 that is that powers the Nvidia Shield. 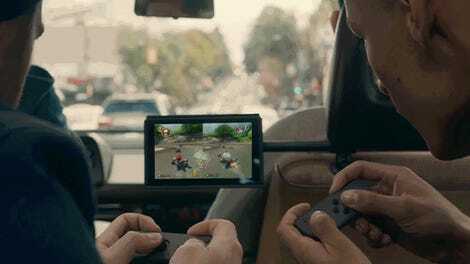 That means it will be very powerful for a portable gaming device, but not jaw-dropping for a traditional console. The disappointing part is that Nintendo is rumored to be using Nvidia’s last-generation Maxwell technology, rather than its new Pascal stuff. The bottom line is that the Maxwell is older technology and the graphics aren’t going to be as powerful as what Nvidia has planned ahead. The X1 is technically capable of at least playing back 4K video—but don’t expect to see anything in 4K on the Nintendo Switch. Rumors suggest that it will be 1080p when docked to a TV and 720p when played on its screen in portable mode. Eurogamer has an excellent breakdown of the differences between how the console will run when docked or when handheld, based on what they’ve been able to uncover about the internals. The key takeaway is that when docked, the reported chips in the Nintendo Switch have the potential to run much faster. Not having PS4-caliber graphics doesn’t mean the console won’t still be a ton of fun, but it does make us pause, especially when the console is a follow-up to another console that was underpowered compared to the competition. We just hope the specs are good enough to get game developers interested in porting over apps or building new titles without having to make too many compromises. Put aside the fact that it was released too late or that the whole second-screen gaming thing never really worked, the biggest problem with the Wii U was the lack of games. Sure, many of the games it did have were awesome — and some of my favorite first-party Nintendo games of all time appeared on that console, but no one else bothered to come to the party. Even at the Wii U’s launch, it was clear it was a console primarily for gamers who wanted to play Nintendo games and only Nintendo games; it’s hard to sell units that way. Fortunately, it looks like Nintendo wants to correct that problem with the Nintendo Switch. Nintendo released an early look at publishers already committed to the platform back in October. We even saw a preview of The Elder Scrolls 5: Skyrim and NBA 2K17 in the initial game trailer, which is a good sign. Nintendo is holding a special hands-on event for press tomorrow, and we hope to get plenty of time with some third-party games there. As great as having a full roster of third-party titles will be, the main draw for any Nintendo console are those sweet first party titles. Based on what games were shown in the teaser trailer, we’re hoping to get release dates for The Legend of Zelda: Breath of the Wild, Mario Kart 8, Splatoon, and a brand new Super Mario game. With any luck, Nintendo will also throw us some teasers for other first-party games. And if not, that’s at least something we can look forward to seeing at E3 this summer. Nintendo’s handheld consoles have historically had VERY good battery life. But that was on systems that were much less powerful and on screens with much lower resolutions. I’m very interested in what battery life Nintendo can offer with the Switch. The 6.2-inch screen will reportedly have 720p resolution. Size, weight, and thickness of the device will all play a role in how much juice the Switch can offer. The 3DS XL promises between 3.5-6.5 hour of battery life, but I don’t know if it’s possible to get those upper limits on the Nintendo Switch. Moreover, an FCC filing showed that the battery on the Switch is not removable, meaning it won’t be possible to just replace another one if you’re on the go. 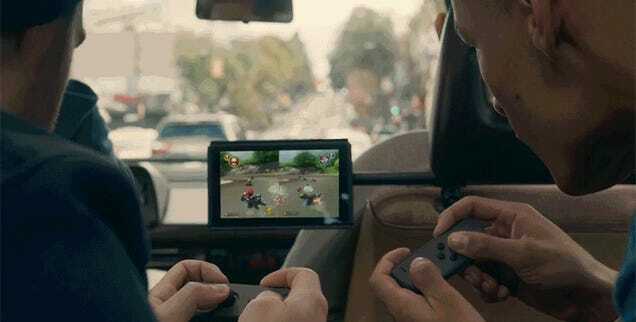 One of the funnier aspects of the launch trailer was just all the silly—and utterly unrealistic—examples of how people would play with the Nintendo Switch in public. From the car, to the airport, to the basketball court, to a rooftop part, Nintendo wants you to know the Switch is ready to hang. Maybe I’m wrong, but even with a stellar lineup, I cannot see a group of my friends gathering on a roof to play video games on a tiny screen using little Joy Con controllers. It makes for a nice video demo — but come on! Nintendo Switch Will Reportedly Be Cheap But What&apos;s the Catch?